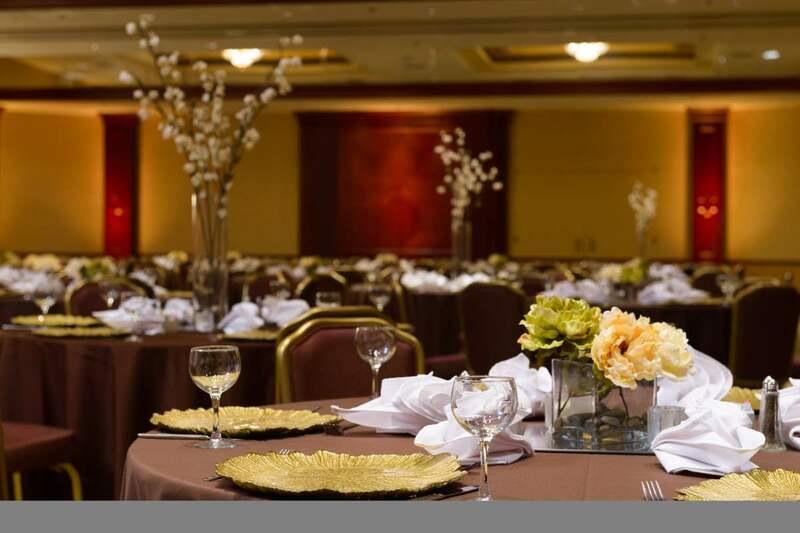 The Potomac Ballroom at Hilton Washington Dulles is an ideal location for celebrations of 300 or less attendees. 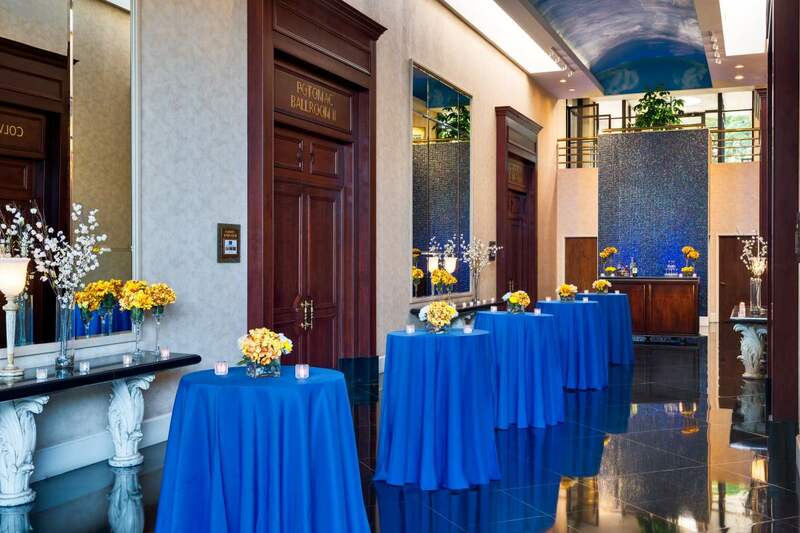 With over 4700 square feet, 14 foot ceilings, and a private reception area, the Potomac Ballroom is an elegant choice for your reception or your ceremony. Whether you choose to have a stage or a sweet heart table, the room is very flexible. 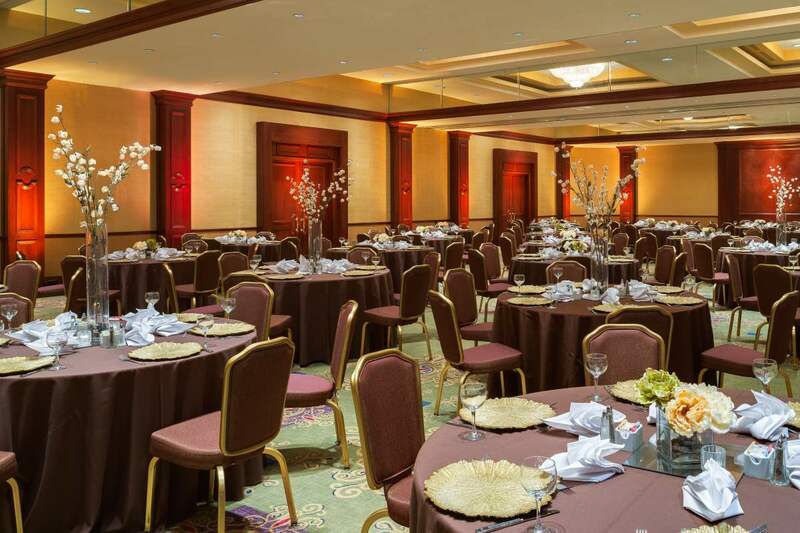 Your guests will enjoy the appetizers in the room across from the ballroom and flow into the main ballroom when you arrive.